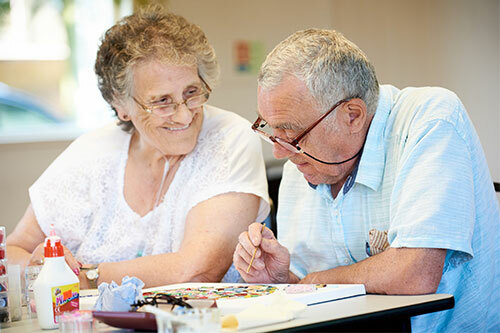 Outreach is for people who have a life limiting condition and live relatively well at home, but could benefit from social support from others in a similar situation. 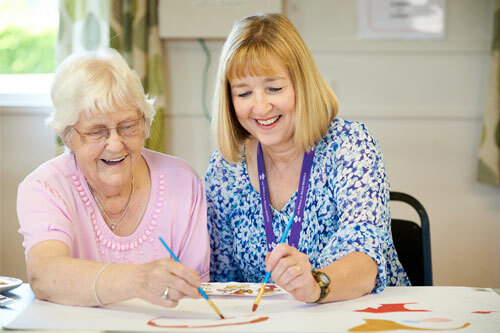 It’s a chance to get out of the house, make new friends and participate in crafts and other activities, with the added comfort of being in a safe environment. We accept self referrals to Outreach. If you feel you could benefit, simply come along to one of our Outreach sessions for an informal chat about your illness and needs. There are three sessions: Wednesdays, 11am-2pm at Holy Cross Church in Airedale, Thursdays 10am-1pm at St Mary Magdalene Church Hall Altofts Fridays, 10am-1pm at The Lawson Hut in Badsworth. There’s no need to book and you can attend any of our sessions. You will attend Outreach on the same day each week, giving you the opportunity to get to know other patients who attend on that day. You’re welcome to bring your carer along with you. Every week we have a quiz, biscuits and a cuppa or two, and most importantly, you’ll have the chance to chat with others who are in a similar situation. Our activities co-ordinator plans activities for Outreach, which may include theme days, arts and crafts, and school choir visits. You can join in with as much or as little as you like, quiet time with a cuppa and a paper is ok too!